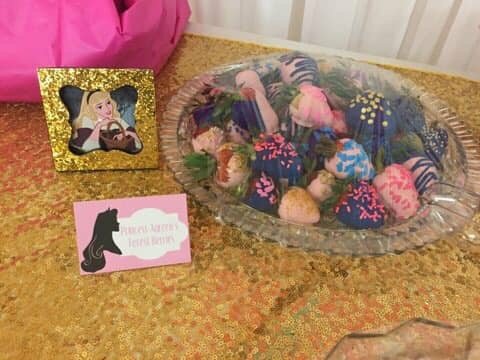 She was happy to share details with me all about her party, so I hope you all enjoy it too because I absolutely love the themeing! 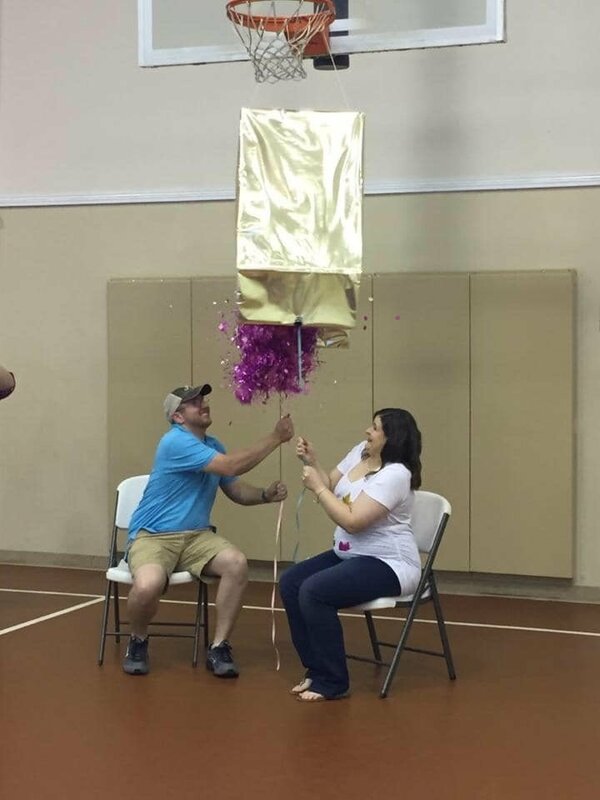 And let’s all wish her a big congratulations too! 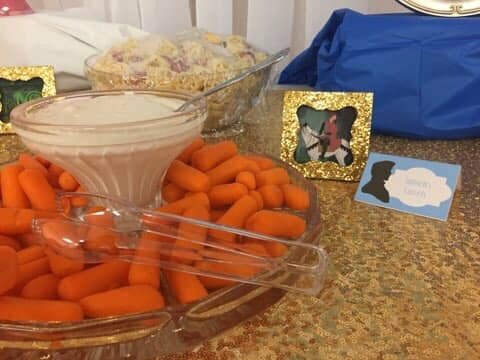 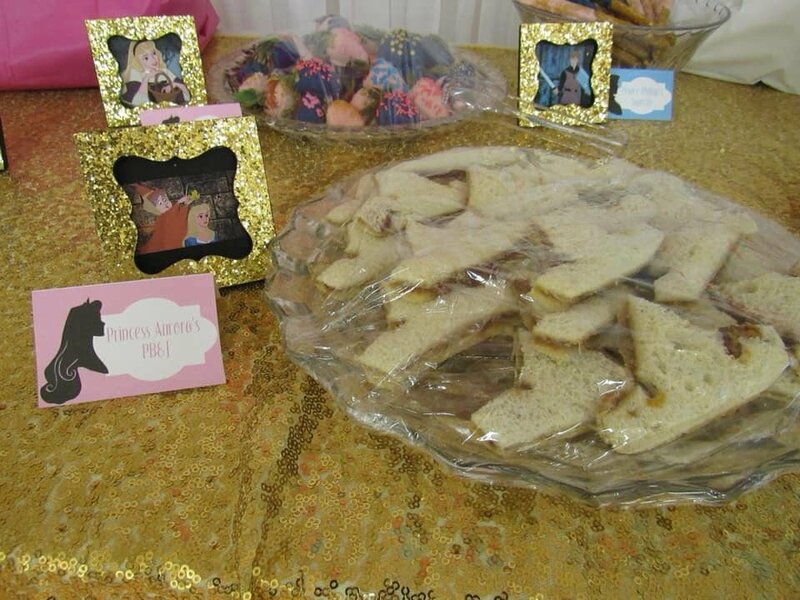 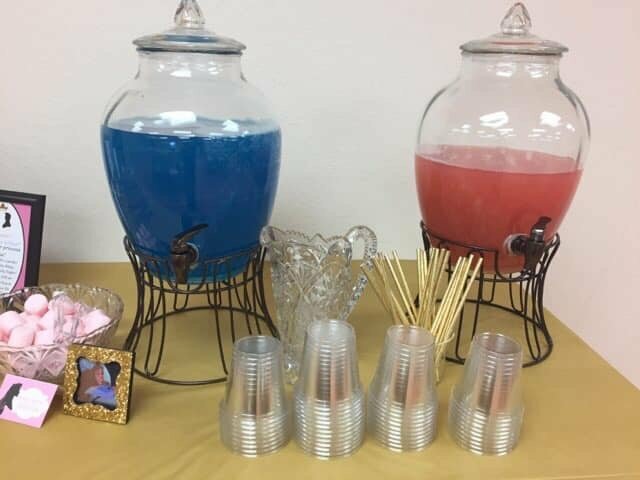 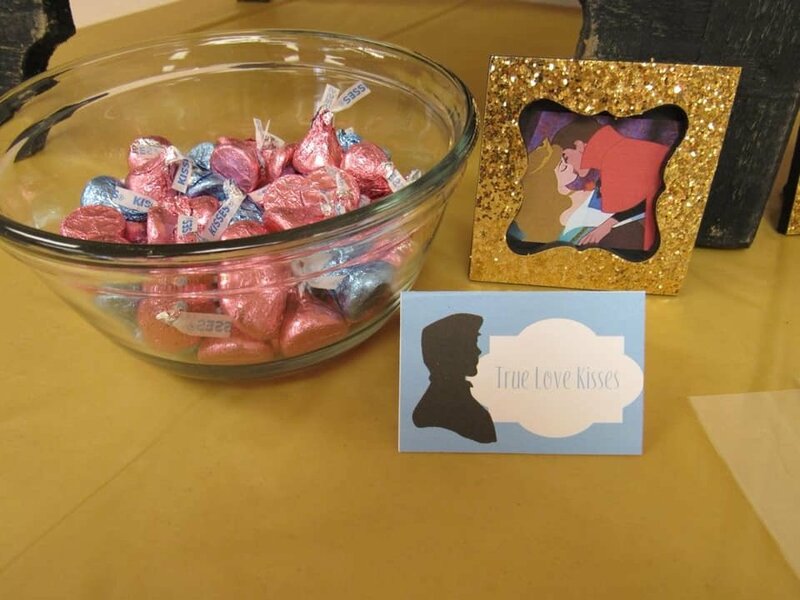 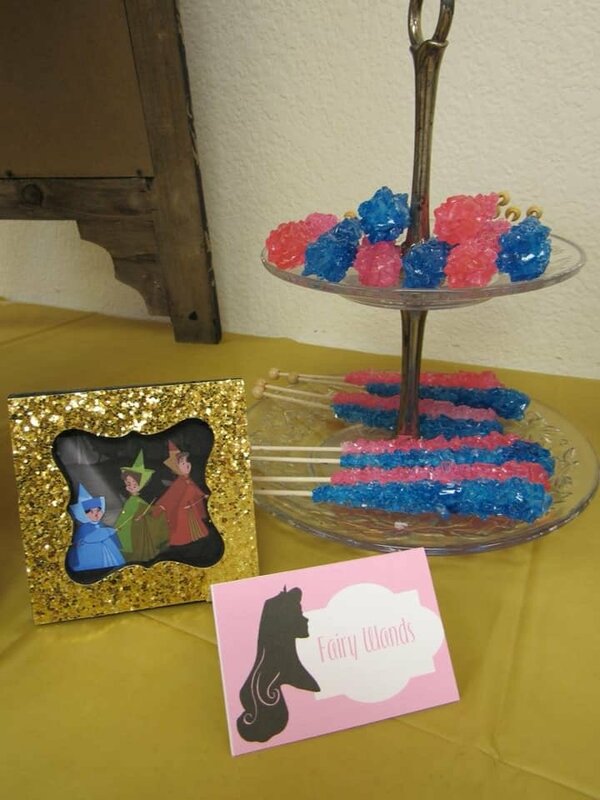 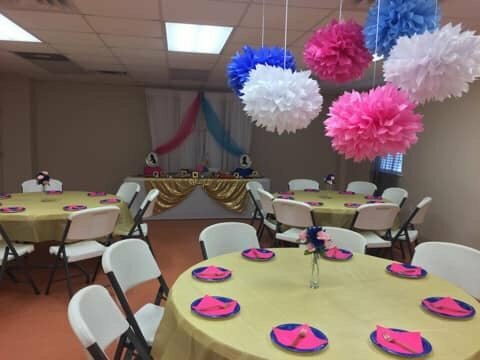 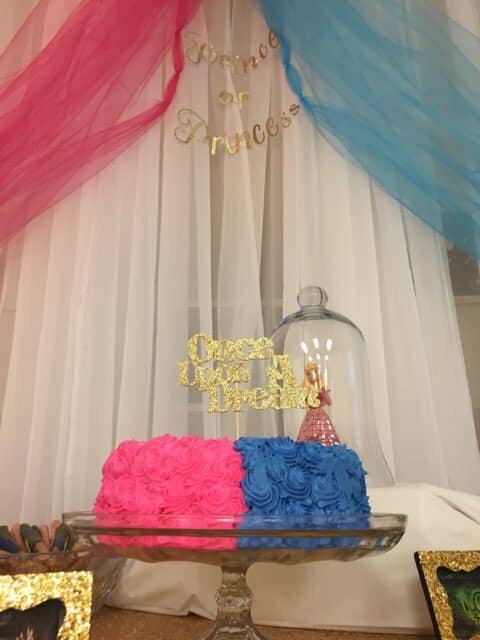 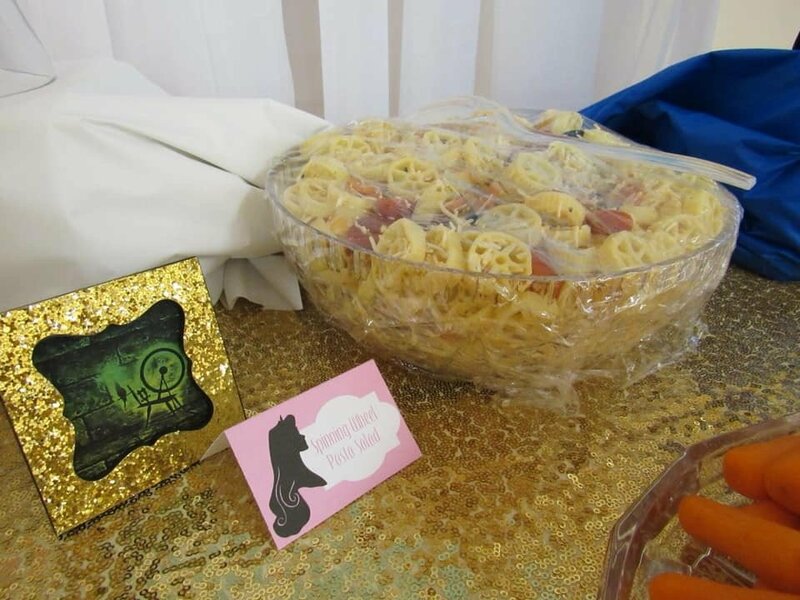 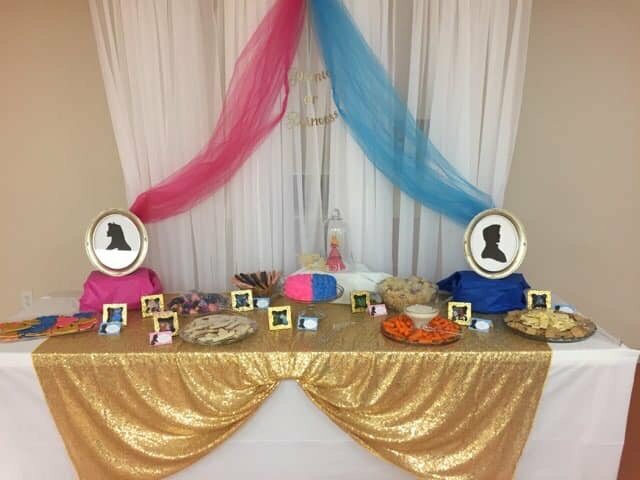 Of course blue and pink seems like the obvious color scheme for this party, but I love the way Alissa decorated. 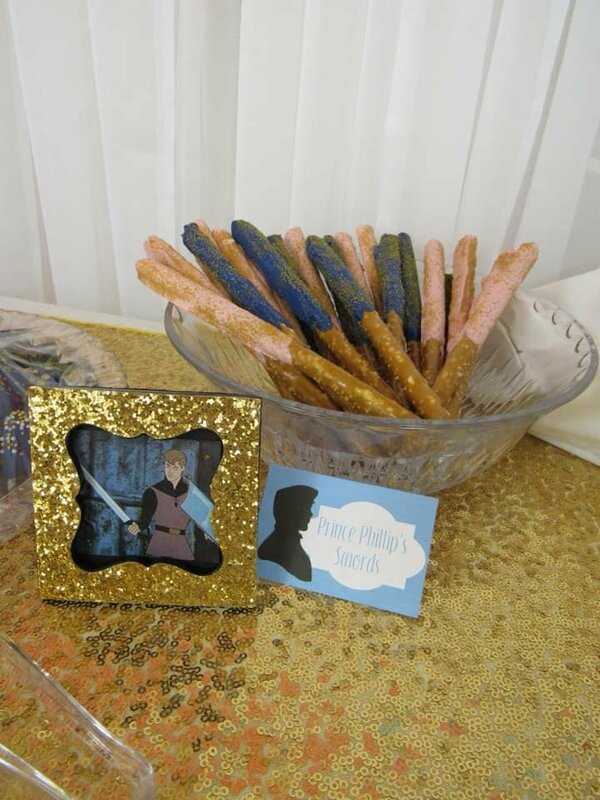 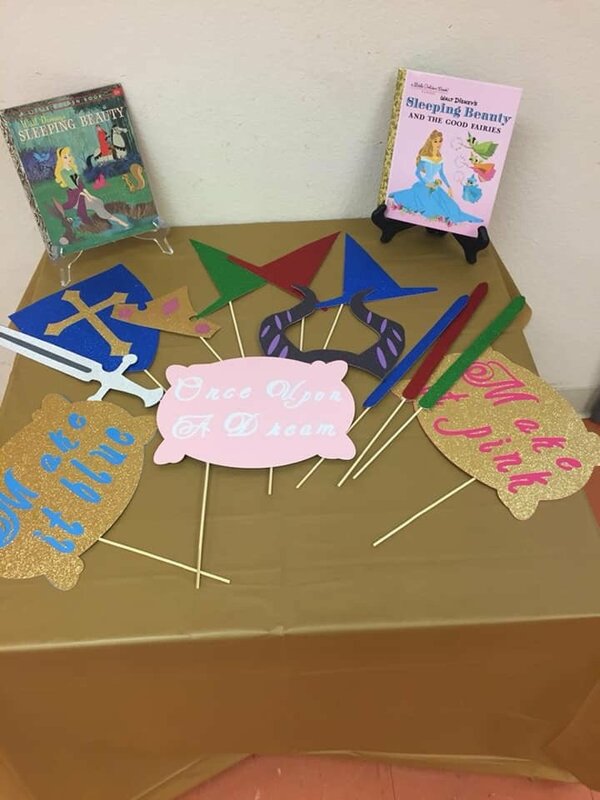 Instead of an overwhelming amount of pink and blue, she accented it with gold, which fits in perfectly with the Sleeping Beauty theme. 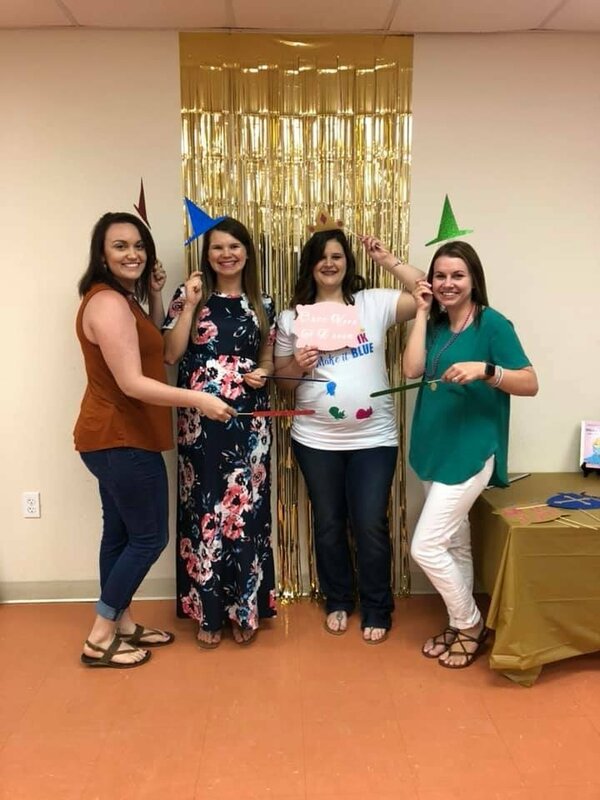 What’s a party without a few games, right? 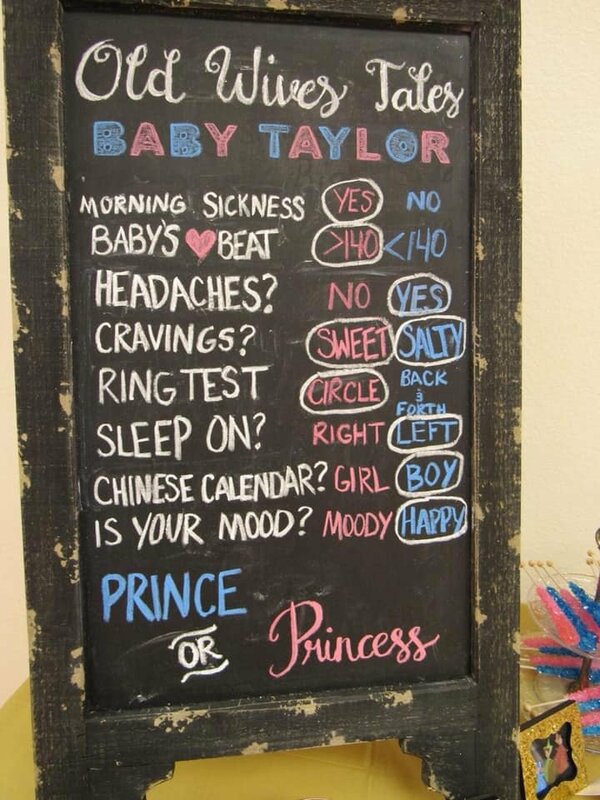 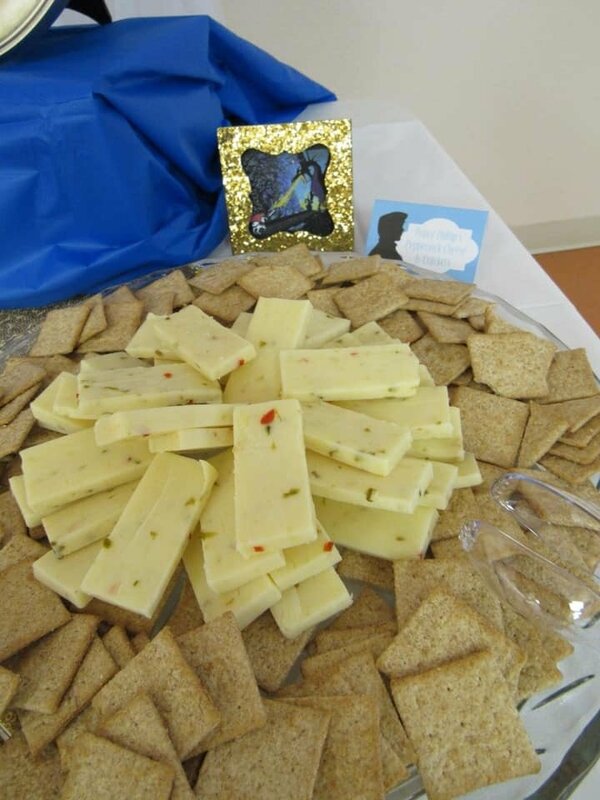 One of Alissa’s friends created this gorgeous chalkboard sign with a list of old wives tales. 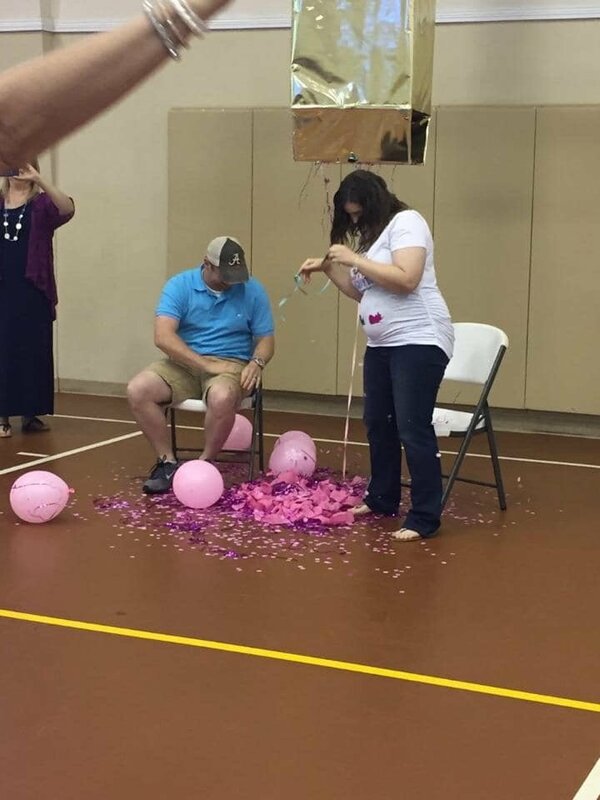 This could potentially help people in their predictions of whether it would be a boy or a girl! 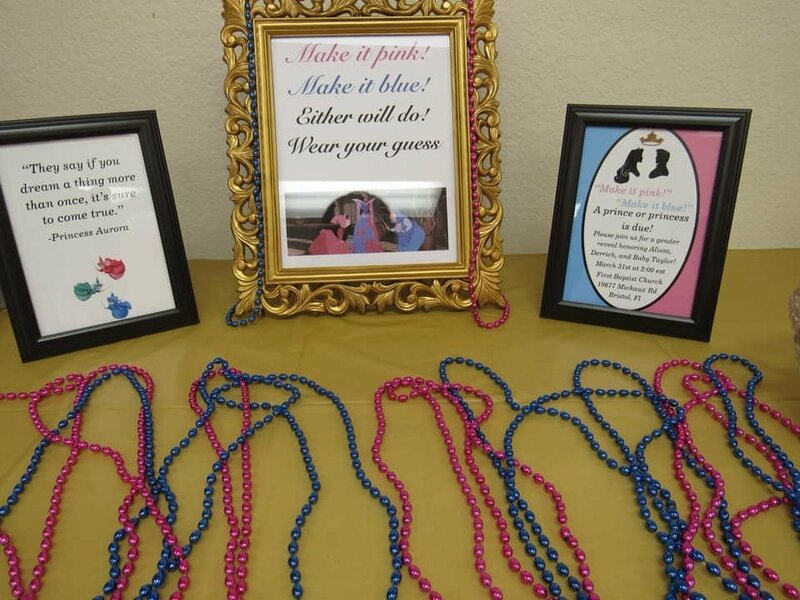 Everyone was asked to wear either a pink or blue necklace to show what “team” they were on. 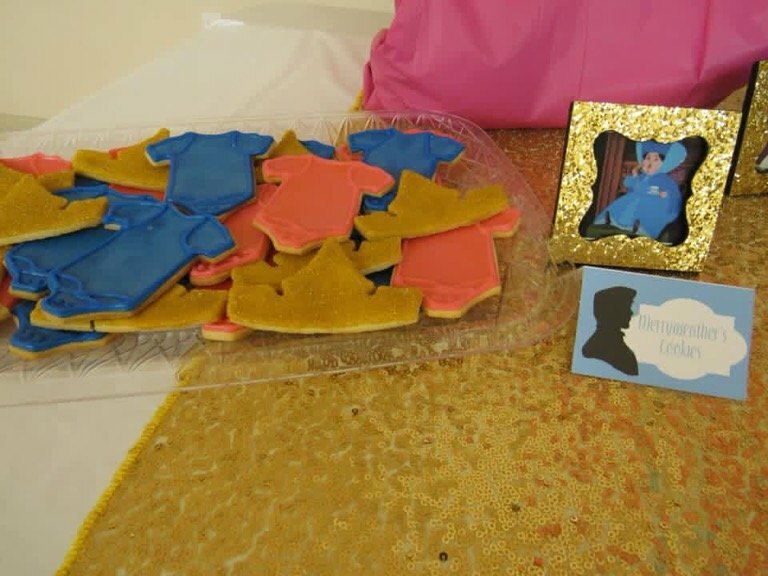 The shirt I wore for the party was ordered from ZsMagicalCreations on Etsy! 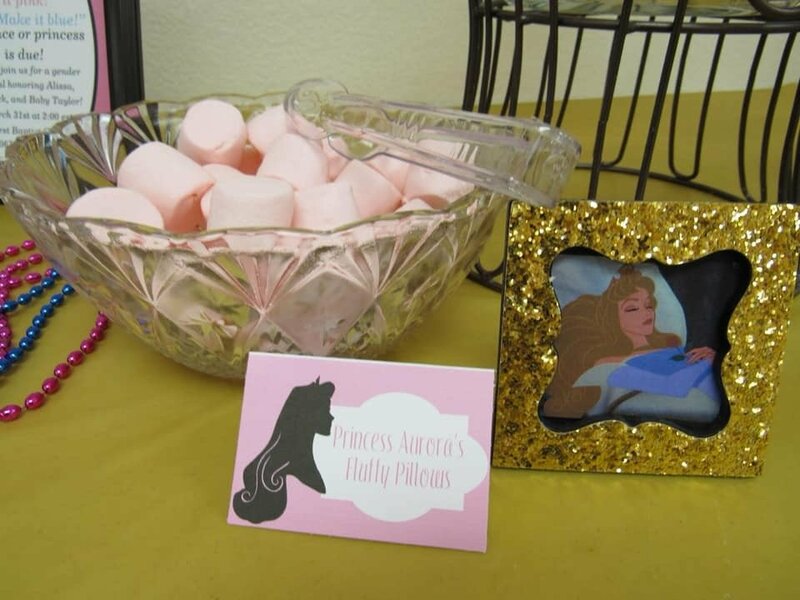 Princess Aurora’s fluffy pillows-pink strawberry flavored marshmallows. 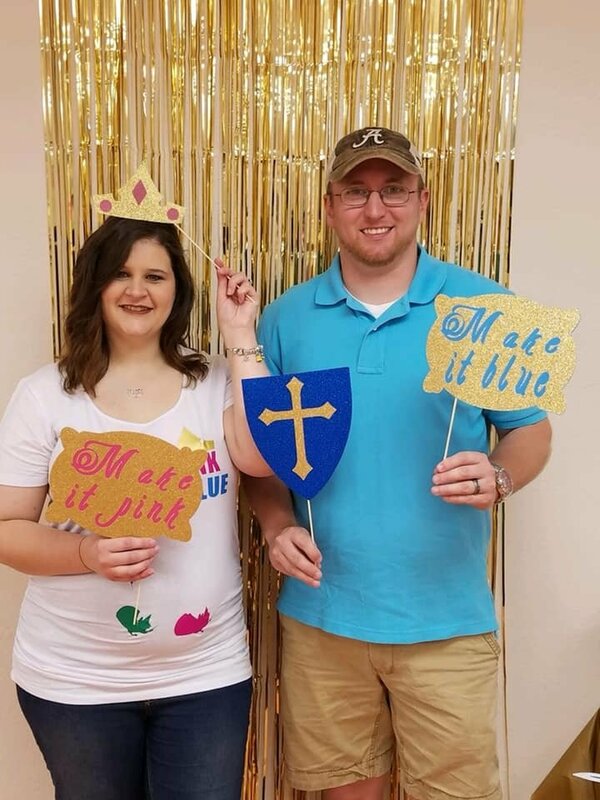 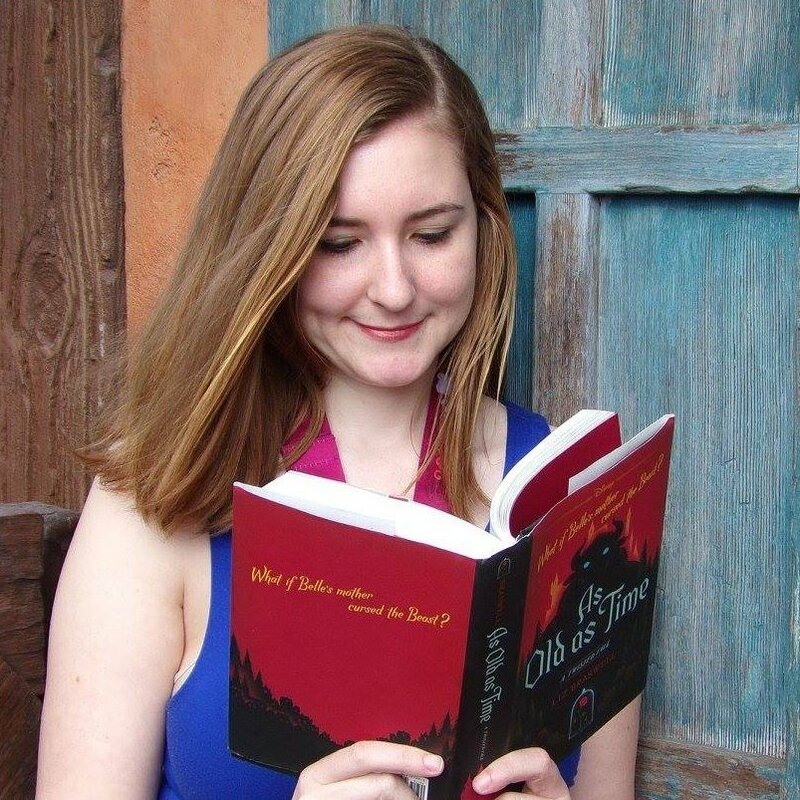 Can we all wish Alissa and her soon-to-be princess congratulations?